Brenda Wells, the Executive Director of the Greater Lexington Apartment Association, oversees the operations of the association in conjunction with the GLAA Board of Directors. Brenda was born in Atlanta, Georgia where she completed High School in 1974, and immediately went to work as a Leasing Consultant for an apartment community while attending college. She has continued to work in the multi-family housing industry for the past 35 years. Brenda and her family relocated to Lexington, Kentucky in 1996 when her husband received a Professorship for the Department of Corrections and Juvenile Studies at Eastern Kentucky University. 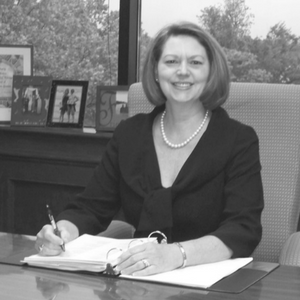 Brenda accepted a position with the Greater Lexington Apartment Association in 1997 as the Executive Assistant, and was promoted to Executive Director in 1998. Brenda has served on numerous committees, sub-committees and councils in the last ten years for the National Apartment Association. Some of these include the NAAEI Board of Directors, NAAEI Apartment Careers Committee, Communications Advisory Board, Strategic Plan Monitoring Committee, the Association Executive Council’s liaison to the Regional Vice Presidents, and the membership committee. She has also served on the NAA Association Executive Council (AEC), as the Secretary, Vice President and was the 2010 AEC President. Brenda has served on numerous non-profit boards and committees in her community. Some of which includes, the Lexington Fayette Urban County Government Affordable Housing Task Force, the American Cancer Society, Volunteers of America, the Episcopal Church Women of Ohio, the Holly Theater Restoration Board, the Lexington Ballet Guild, the Atlanta Ballet Guild, Beta Sigma Phi Sorority, and the Scioto Memorial Hospital Guild. Just to name a few. Lisa Figlestahler, the Assistant Director/Marketing Director, provides support for the Executive Director of the GLAA and oversees all marketing efforts within the GLAA. Lisa graduated from Eastern Kentucky University in 2002 with a Bachelors Degree in Psychology and shortly thereafter found herself in the Administrative Assistant position at the GLAA. In a brief amount of time, Lisa was promoted to Executive Assistant / Marketing Director. After working in the Executive Assistant / Marketing Director position for close to 6 years, Lisa moved on to work for another local non-profit, where she remained for 7 years. Now, Lisa is back at GLAA working side by side with Brenda Wells. ​She looks forward to working many years for the association and working to make the GLAA the best it can possibly be! Christina Kessler, the Office Assistant, begin the position in February 2019. She assists and supports the Assistant Director and the Executive Director of the GLAA. Christina is a junior at the University of Kentucky with a double major in Integrated Strategic Communication and Business Management. She is also an International Business minor and a member of the Kappa Delta sorority.